Back six months ago Google announced they would discontinue the mechanism that allowed 3rd party applications to access the Google voice services. This day is rapidly approaching and as it does the services that acted as as a gateway are also winding down. The big day is May 15th, 2014 and anyone who missed the memo will be left in the cold. I would like to encourage any users who are currently utilizing these back doors and gateways to move on sooner than later. This will allow a smoother transition than a last minute “everythings down what now” approach. This time will also give you a chance to research VOIP providers. Once you have a VOIP provider you can forward your google voice number to that DID. 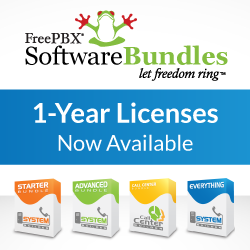 While you are researching VOIP providers may I remind you that using SIPStation also supports the FreePBX project and it’s continued development. Also there is a SIPStation FreePBX Module that makes configuration a breeze. If you decide to go with SIPStation and don’t wish to rely on the future availability of the service or forwarding function you may also port your Google Voice number over to SIPStation. Watch this video for more information on the SIPStation FreePBX Module. Next PostXactDialer BETA 1 Month Free Trial License, Limited Quantity, Sign Up Quick!